My name is Jonas Valentine and I am a transgender. Since coming out as trans, my high school has tried to make things more comfortable for me, but I honestly feel more isolated and I feel like it's unfair. I now have to get changed for gym class in the teacher's locker room. This is the same place where the bathroom that I use is. I'm not allowed to use the regular bathrooms or locker rooms because students have complained that it makes them feel "uncomfortable," but in the long run, isolating me makes me feel like I don't have the same rights as everyone else does. It feels unfair, I feel isolated, and at times it can be uncomfortable for me because I have a few classes that are a long way from the gym, so I have to run to make it to the bathroom and be back in time for class. I've gotten used to holding it in whenever I need to use the restroom, because it's such a far distance. It doesn't have to be this way! 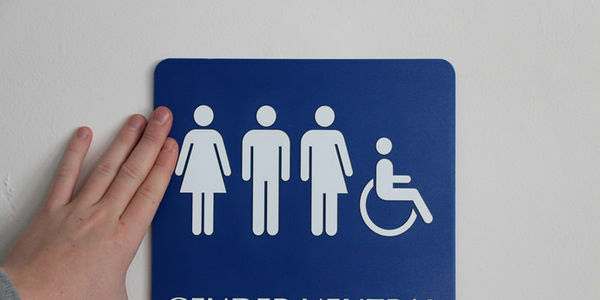 Creating gender-neutral bathrooms that all students can use would make people like me feel more comfortable, and would be of no harm to anyone else. Though I will be graduating high school and won't be here next year, I want to know that the kids who follow behind me will get that comfort of equal rights. Please sign my petition to ask Round Lake High School to provide gender-neutral bathrooms, so that people like me won't be isolated. Thank you. WE DID IT! Thanks to your petition signatures, my high school has created 2 gender-neutral bathrooms, with two more on the way! Thanks to all who signed -- you helped make my school more trans-friendly and inclusive!